Metis Flat: US size 6[4mm] needles for magic loop or dpns and US size 5[3.75mm] needles OR size to obtain gauge. Gossamer Cowl ITR: US size 2[2.75mm] and US size 3[3.25mm] 16″ / 40.6 cm or 20″ / 50 cm circular needles OR size to obtain gauge. Halo Ring Moebius: US size 4[3.5mm] circular needles at least 40″ / 100 cm in length OR size to obtain gauge. Halo Ring Moebius: Open or locking pin stitch marker, stitch marker, tapestry needle. Optional 40 sequins, buttons, or beads for embellishments. 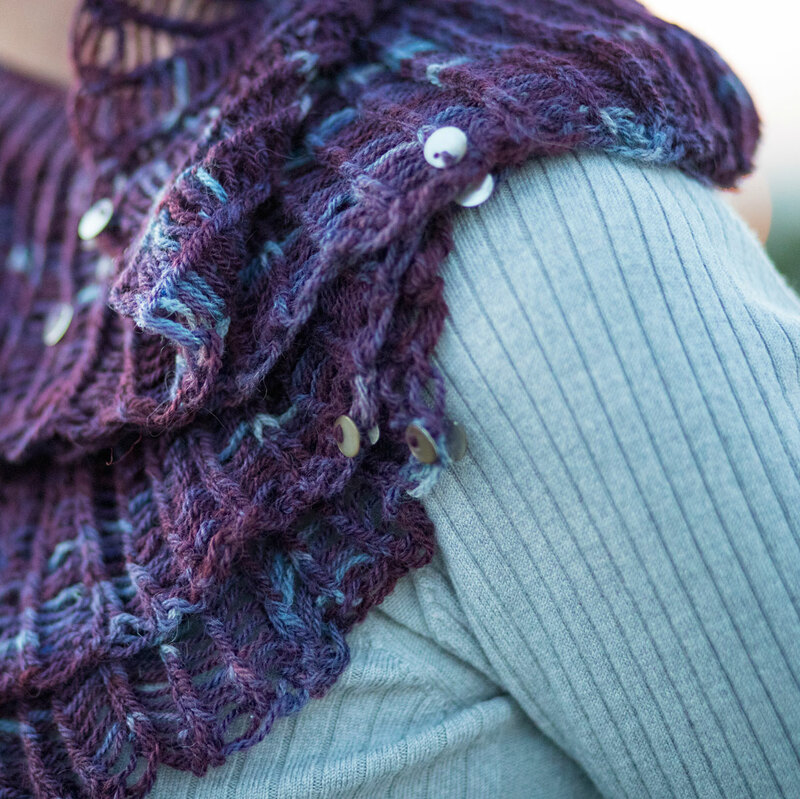 Jupiter’s Rings is a trio of one-skein projects each feature a Gossamer fringe. 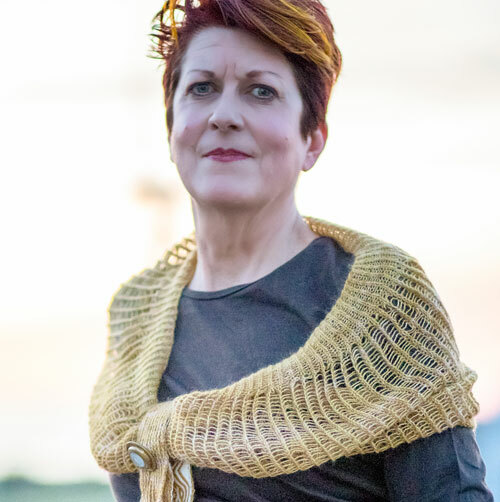 The scarf, the cowl, and the moebius ring are perfect for creating a gift or a unique accessory while having some knitting fun. I never tire of dropping my stitches down and seeing the Gossamer fringe reveal a different view of the yarn. Did you know that Jupiter has two Gossamer Rings? As a geographic location it seemed too fun to pass up, so Jupiter’s Rings: Metis Flat, Gossamer Cowl, and Halo Ring! When working through this trio, you may find some new variations on techniques too. 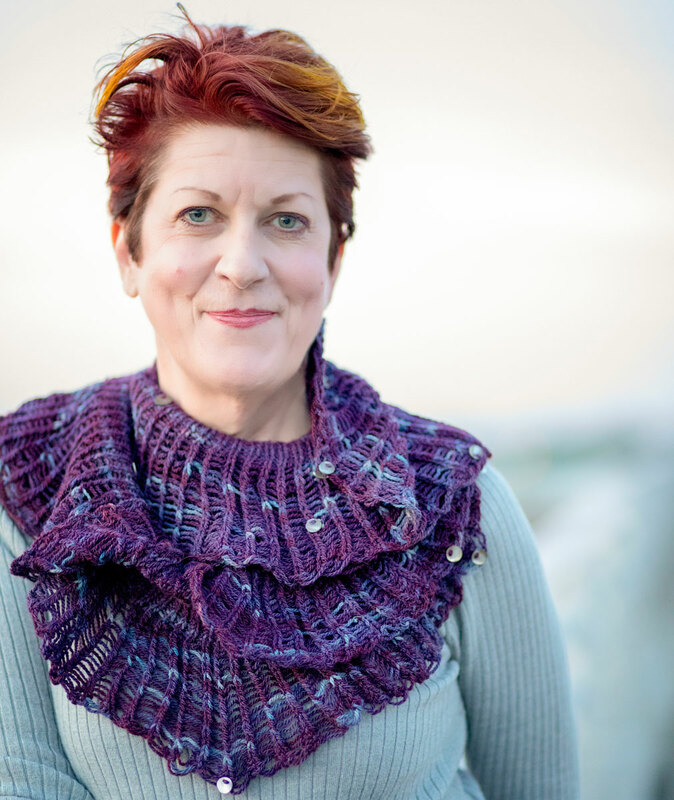 I use my very favorite cast on, the flexible long-tail, paired with a sewn bind off in Metis Flat and with a modified JSSBO in the Gossamer Cowl. 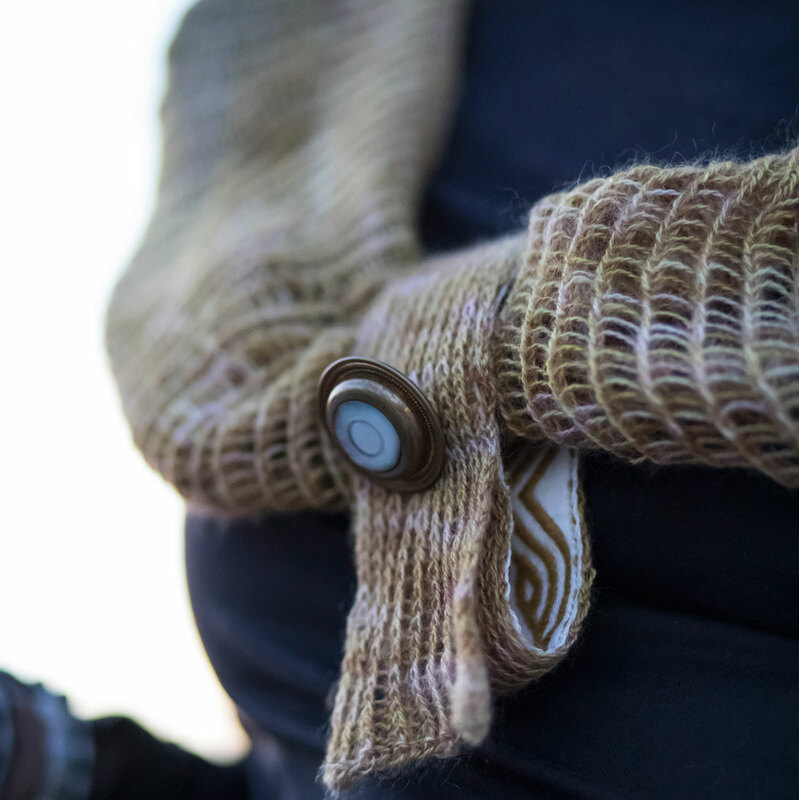 The Halo ring begins with Cat Bordhi’s moebius cast on then moves into the magic of moebius knitting. The embellishments and closures are all optional. 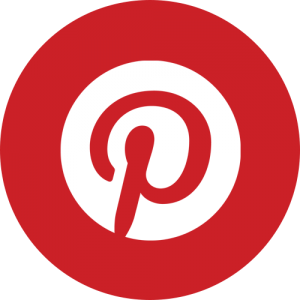 The pattern includes both written instructions and Action charts for each project; there is a Road Map of each project as well to help you see the shaping. 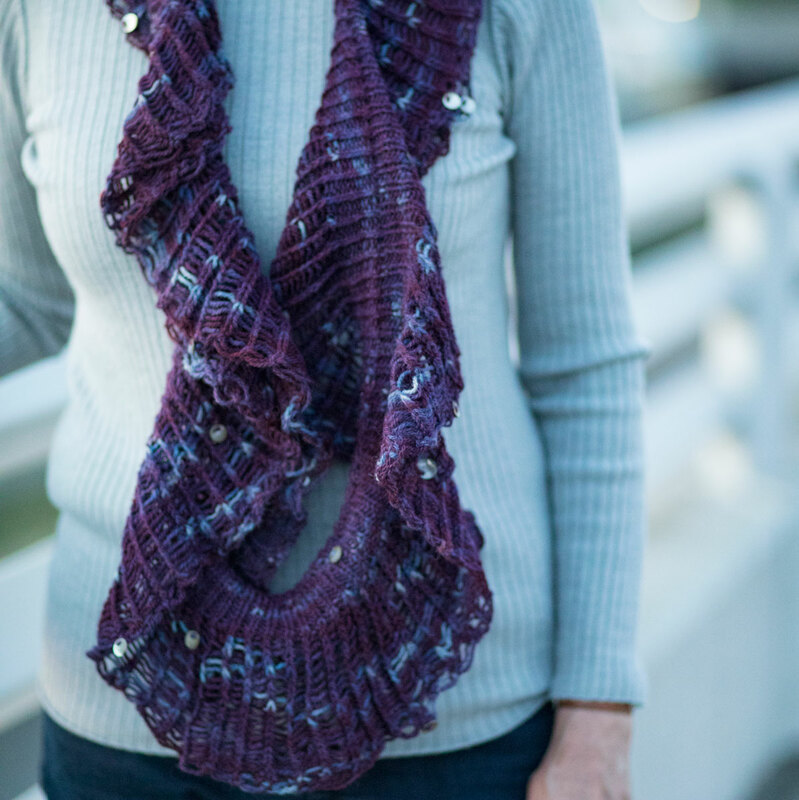 The pattern is a total of 14 pages — but includes patterns for all three projects.